President Muhammadu Buhari's party, the All Progressives Congress, has advised him to discard the Petroleum Industry Bill, review fuel subsidies and sell off some units of the Nigerian National Petroleum Corporation. 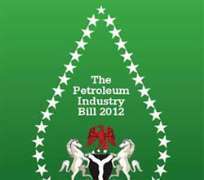 The PIB should be scrapped and replaced by a new reform bill that is based on discussions with international oil companies to 'ensure all perspectives are adequately considered,' Bloomberg quoted the APC as saying in a report it obtained on Monday, with the party's Director of Policy, Dr. Kayode Fayemi, confirming the authenticity of the document. The bill has been delayed in parliament for six years due to political wrangling and opposition by international oil companies against proposed tax and royalty terms, deterring investment in Africa's top oil producer. The APC handed the report, which was based on closed-door meetings on May 20 and 21 in Abuja, to Buhari, who took office on May 29 and has yet to appoint a cabinet. The report 'is not the final position of government,' Bloomberg quoted Fayemi as saying by email. Buhari had pledged to clamp down on graft, including in the oil industry, which is the source of about two-thirds of the government's revenue and 90 per cent of export earnings. The report recommends a review of audits and corruption allegations against the NNPC in the government's first 100 days in office. After 18 months, the government should seek to commercialise the NNPC, possibly partially listing the entity and selling off its fuel-retailing and refining business, the APC said. The President disbanded the board of the NNPC on Friday in an attempt to fight graft in the industry. The APC report recommends that all top oil executives, senior NNPC staff members and government officials must declare their assets. It also calls for the NNPC board to meet more regularly and legislation governing the corporation to be amended to ensure that the Minister of Petroleum Resources is no longer the chairman of the company. The government should review fuel subsidies to reduce costs of about N600bn ($3bn) spent annually on the payments, according to the report. Buhari had said last week that his government was facing severe financial strain from a treasury that's 'virtually empty' and billions of dollars in debt. A lack of oil refining capacity means Nigeria subsidises petrol imports and suffers frequent fuel shortages even though it produces about 1.9 million barrels a day. Nigeria's crude production is hindered by the NNPC's inability to pay its share in joint ventures with companies, including Exxon Mobil Corporation, Royal Dutch Shell Plc and Total SA, according to the report. The NNPC's debts to its eight joint ventures, in which it owns majority stakes, have 'ballooned over the years,' the APC said. In 2012, the state company paid $6.9bn out of the $10.4bn it owed. The difference of $3.5bn was covered by loans from international oil companies, according to the report. The NNPC had the worst disclosure record of 44 international and national energy companies analysed in a 2011 report by Transparency International and the Revenue Watch Institute. The APC's report also advised the government to cancel in its first 100 days in office 'two ill-suited and costly offshore processing agreements' that were signed in the fourth quarter with Aiteo Eastern E&P Company Limited and Sahara Group of 90,000 barrels per day each.